Port Blacksand on its way! 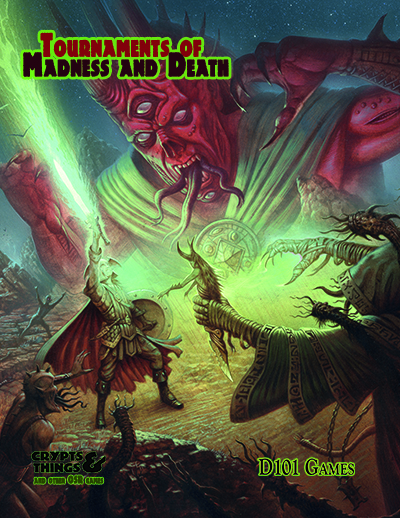 Many moons I backed the Advanced Fighting Fantasy “Blacksand” book on IndieGoGo. 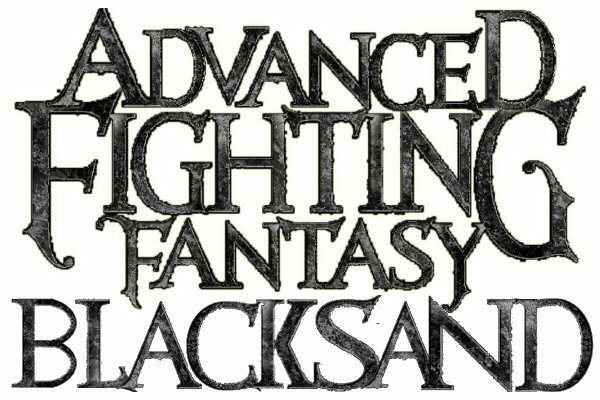 Port Blacksand , which is the star of Fighting Fantasy Book 5 City of Thieves, is getting the Advanced Fighting Fantasy treatment courtesy of Arion Games, with this reissue & expansion of the 1990’s Blacksand! book. 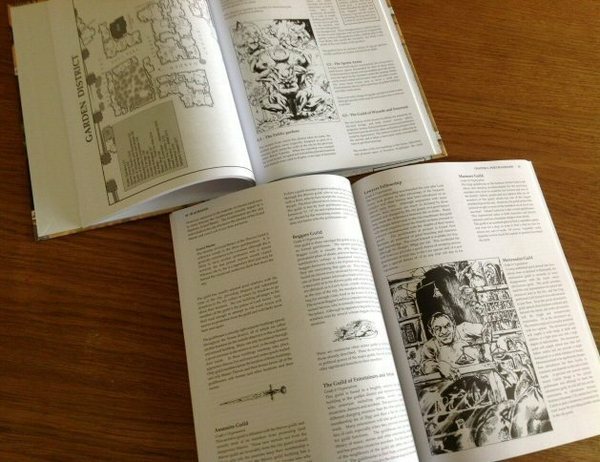 To speed up the production process they are running the pre-order as a IndieGoGo.com campaign, with a number of perks such as signed copies, big fold up versions of the city map and limited edition hard covers. So what are you waiting for get yourself over there. OpenQuest 2 IndieGoGo campaign, why? Later today the OpenQuest2 IndieGoGo.com pre-order will go live. This post goes into why I’m doing it this way. OpenQuest has gone through five mini-editions since it was released back in 2009. With each incremental update we’ve trapped more errors, clarified the rules, and added more content (monsters, spells, adventures and additional optional rules). One thing that people have always asked me for is a hardcover version, but I’ve always resisted since it would have meant reformatting the book from A4 to US Trade, something that takes time. In the first couple of years after OQ’s release time was in short supply as I worked on other games to establish D101 Games. For various reasons time is now available to do a hardback and I thought it be a good time to address some of the art and layout issues that still exist in the book. John Holmes who has a razor sharp eye for typos and game logic mistakes has gone through the entire text. Meanwhile OQ’s artist Simon Bray has touched up his existing art where necessary and replaced all the clip-art with new pieces. Now that we have a tidied up or ‘Remastered’ version, thoughts have turned to doing a proper second edition of the game. Now don’t get me wrong this will not be a radical re-write of the rules, merely a tidy up and expansion. For example take Magic. I plan to keep the three magic approach, revise some of the problematic spells and add a supplementary magical approach for evil magicians (Blood magic), rather than collect all the spells into one unified magic system that does away with magic points. So you could conceivably keep your old copy of OQ1 and get the new OQ2 content via the OQ2 Dev Kit (although note the setting Empire of Gatan + some of the examples is not going to be part it this time round). So that brought me into a state of dilemma. I could conceivably work on OQ2 implementing people’s requests and either write too much or too little. OpenQuest had a strong tradition of open development involving the game’s community. So as answer I thought that doing an IndieGoGo.com campaign would determine how much the community wants to see certain features.